Nitish Kumar resigns as Chief Minister (CM) of Bihar on 26th July 2017, ending the two-year-long political experiment that was branded as a game-changing Maha-gathbandhan or Grand Alliance which included his party, Lalu Yadav and the Congress. This evening, Mr Kumar met with Bihar Governor Keshari Nath Tripathi to deliver his resignation. His stunning move came after Lalu Yadav reiterated earlier today that his son, Tejashwi, would not quit as No 2 in the government despite being caught in a corruption scandal. 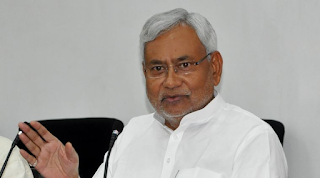 Nitish Kumar then met with law-makers from his party, the Janata Dal United or JDU, and told them that he would return from the Governor's home to inform them of what lies ahead.